My parents named me Grant, however all of my eFriends just call me Wave. I first developed a fascination for cars at an early age. Probably because my father always drove European sports cars. For the first 20 years after high school, my days were consumed working as a certified Maserati and Mercedes Benz mechanic. My nights and weekends revolved around building and racing various Chevy and Mopar muscle cars from the 60's and 70's. After many speeding tickets and constantly abused fingers, my choice of hobbies migrated toward theatre, audio mixing and computers. I started running the sound mixing board for friend’s bands, then got involved in theatre production. This was about the same time that I was starting to get exposure to the world of computers. When I was running the sound board for plays, most of the sound queues that I used were recorded and played back on cassette audio tapes. I started recording the sound effects on my computer and saving them as wav files. Now when I went to queue my next sound during the production, it was just a mouse click away instead of changing tapes. 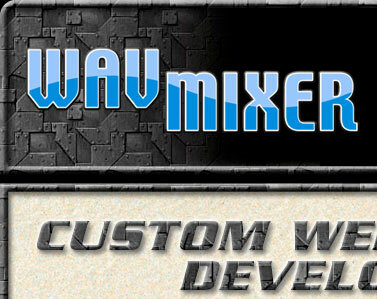 This is how I acquired the name WavMixer. My first computer started in 1995 with a call to Jeff Levy, host of a computer talk show locally here in Los Angeles then on KFI 640. I was planning on purchasing a computer in the near future, so I called him up to see what he recommended. I was the very first caller, on his very first radio broadcast and soon became a regular caller to the show. 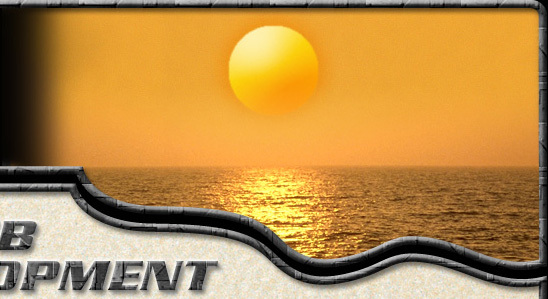 When Jeff needed a website, Grant McBride aka WavMixer was his choice for web development. In 1996 I went to work as a tech support rep for a little Internet start up company called EarthLink. I soon worked my way up to head of the web support department until EarthLink merged with Mindspring and moved to Atlanta. After leaving EarthLink, I went to work for Medtronic in the information technology department. They are the world leader in insulin pump therapy and continuous glucose monitoring. This was where I found out that I am diabetic, so I could not have been working at a better place. I was fortunate to be involved in field where I could be a part of helping people and working with computers, which happens to be my favorite hobby. Jeff would answer computer related questions from callers, translate those questions into understandable English, and then used the question to teach the audience about that particular topic. He injected his own brand of humor in his exchanges with callers, and told them that it’s OK to be a "Computer Creampuff" or a "Windows Weenie" or "Keyboard Curmudgeon" because everyone is a beginner at something, sometime. Jeff made listeners feel like they were not alone with their problems and that they were not incompetent or stupid because they can’t figure them out. Jeff did what every successful communicator does: he took the complex and made it understandable. It just so happened that I wanted to buy a computer, but had no idea what to get. When Jeff gave the phone number to the station and said for people to call in with their computer questions, I did. I was Jeff's first caller, on his first radio show at 5am Sunday morning. After our call was over I listened to the rest of the show intently. Jeff knew so much about computers and I was hungry learn from him. That first call led to a 20+ year friendship. That was the first of many shows that I was part of. There I was a computer cream puff barely knowing how to turn a computer on with my first call to the show, then actually getting a chance to work side by side with my mentor. We had a mutual respect and admiration for each other. But is was more than that. Jeff was my mentor... my friend... my promoter... my brother from another mother. If it were not for Jeff's influence in my life, I may have never started to work in the IT field.